Almost a week in to the summer holidays!\r\n\r\nWhat are you all doing with your little ones, especially those of you that are working?\r\n\r\nI'm self-employed so my little 'un is summer scheming with his friends part-time, loving it so far! my plans are the 7 year old is going in to a two week summer scheme and when its over she will be going into another camp with Relax Kids (just a few hours a day). And when shes not at the schemes, we will take little day trips and use the What's On guide to plan our weeks. 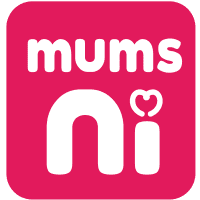 With the 2 year old, I'm going to be going to the classes that are run in Cafe Nest at Sprucefield and go to the weekly classes with ToddlepopsNI. When we arent at classes or summer schemes, I will be in work and Grandparents will have the kids. Hopefully we will get the good weather as I really want to enjoy time in the back garden on my days off and get to the park and farms and woodland walks. The first week is almost over and it's been grand so far. We are looking forward to having the Husband off work next week to join in with the fun. Thankfully mine are past the stage of needing to be entertained!! Check out some of the local church holiday bible clubs - you don't need to be 'churchy' and my lot really enjoyed them, to an unfathomable degree, in fact! !